Good-Bye, Sara, and Good Luck! 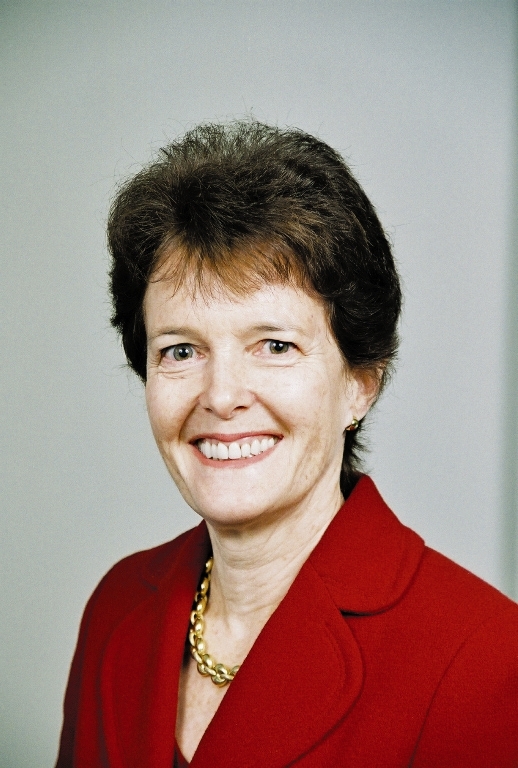 After forty-two years of continuous service to the field of philanthropy and twenty-one years at the Foundation Center, eighteen of those as president, our dear friend and colleague Sara Engelhardt is preparing to close out this phase of her excellent adventure. We'd like to take a minute to look back on that career -- and to wish Sara well as she begins an exciting new phase of her life. Sara joined the Carnegie Corporation of New York in 1966 after spending two prior summers there and rose rapidly through the ranks, becoming secretary of the corporation, a position she held for twelve years, in 1975. During that period, Sara was responsible for managing Carnegie's grants and also served as the foundation's program officer for philanthropy and the nonprofit sector as well as its women in higher education and public life program. 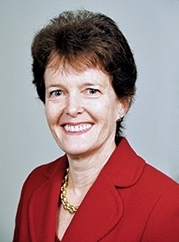 Sara joined the Foundation Center in 1987 as executive vice president and became president of the organization in 1991. 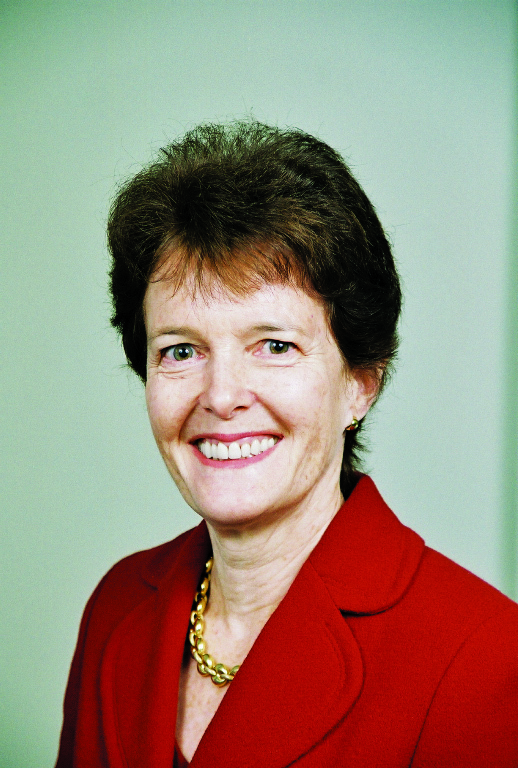 During Sara's tenure as president, the center's role as a knowledge leader in the field grew exponentially, as it expanded its research beyond regular reports on trends in foundation growth and giving to include studies on social justice funding, international philanthropy, and the philanthropic response to 9/11 and Hurricane Katrina; opened a field office in Atlanta, which extended its public service activites into the Southeast; greatly expanded the center's Cooperating Collections network, especially into inner cities and rural communities around the country; and established a robust Web site that is visited by more than 55,000 visitors a day. Over the decades, Sara served on numerous boards within the sector -- the Council on Foundations, Independent Sector, the National Charities Information Bureau, Amigos de las Americas, the Consortium for the Advancement of Private Higher Education, Girls Inc., Legal Momentum, and the National Council for Research on Women -- and established herself among her colleagues as one of the most thoughtful, knowledgeable, and trusted leaders in the field. Indeed, Sara is one of only four individuals, and the only woman, to appear on the NPT Power & Influence Top 50 for the first ten years of its existence (1998-2007). As impressive as those career achievements are, the things that really set Sara apart are her wonderful laugh and sense of humor, her great personal integrity, and her empathy. All of us who have worked with her will miss the laughs shared on the softball field and at holiday parties, the casual lunchtime conversations in the lounge or over a hand of bridge, the occasional note of congratulation or comfort. She has a remarkable ability to connect with people, to make them feel comfortable and at ease. If you know Sara, you know she already has lots of great things planned and to look forward to -- quality time with her daughters and grandkids, travel, yoga, the joys and delights of the Upper West Side. And those of us at the center know she'll always be available to answer our questions and give us good advice. So please join me (in the comments section below) in congratulating Sara on a job well done and in wishing her all the best in the next exciting phase of her life! 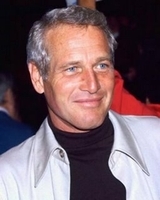 Paul Newman passed away on Friday at the age of 83. The nation and the world are poorer in many ways. Others more qualified than I will pay appropriate tribute to his remarkable contributions as one of the 20th century's most enduring and beloved actors. To me, Newman's contributions to philanthropy warrant equal attention. Without any grand plan, over the last twenty-eight years and in the third act of his career, he proved that the generosity of Americans does not stop when they go shopping. Indeed, given a choice between a high-quality product and a high-quality product coupled with a chance to do good, Americans, as Newman demonstrated, are inclined to choose the latter. Newman's Own, the company he and his Westport neighbor A.E. Hotchner founded more than twenty-five years ago, pioneered and remains a leader in what I have dubbed "consumer philanthropy." The story of Newman's Own begins just before Christmas 1980, when Hotchner and Newman came up with the idea. For years, they had filled old wine bottles with Paul's homemade salad dressing and presented them as holiday gifts to friends. That year, as a joke, they stocked the shelves of a local gourmet shop with their dressing. As they recounted years later in their book Shameless Exploitation in Pursuit of the Common Good (Doubleday, 2003), when the shop quickly sold all the bottles, they realized it was time to get "out of the basement and onto the shelf." The rest, as they say, is history. Popcorn, lemonade, pretzels, pasta sauce, cookies, ice cream, and marinades -- all approved by Paul Newman's exacting taste buds -- soon found their way into grocery stores across the country. Subsequently, Newman's Own became the first company to place products with only all-natural ingredients in supermarkets. By the end of the 1990s, Newman's original salad dressing had annual retail sales of $33.5 million, becoming the eighth-biggest seller in the salad dressing market, and Newman's Own products had earned more than all of Newman's films combined. Tongue firmly in cheek, he once confessed to David Letterman that it was humiliating. We should all be so humiliated. By 2008, the Newman's Own Foundation, the organization he and Hotch created to funnel the proceeds from their growing food products empire to charity, had given more than $250 million to worthy causes. Those profits were donated to thousands of nonprofit organizations in the United States and around the globe. Grantseekers were asked to submit a simple one-page summary of their project and a proposal, and grants were awarded every year by the end of December. Along the way, Newman learned the old precept that it takes a lot of time to give away money wisely. We need your help. 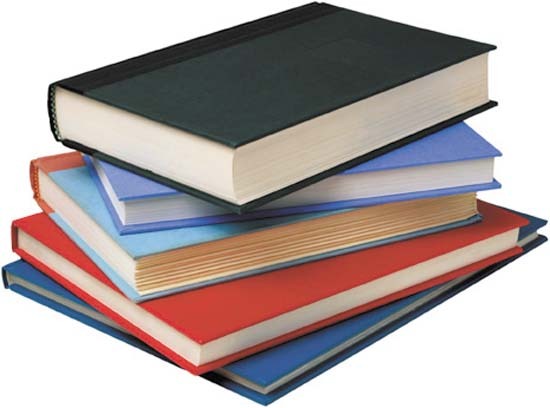 As we head into the homestretch of 2008, we're trying to identify the best philanthropy-related titles of the year (general trade or academic press only). Criteria should include originality, impact, quality, and topicality. Creating a World Without Poverty: Social Business and the Future of Capitalism. Yunus, Muhammad. New York: Basic Books. Forces for Good: Six Practices of High-Impact Nonprofits. Crutchfield, Leslie and Heather McLeod Grant. San Francisco: Jossey-Bass. Grassroots Philanthropy: Field Notes of a Maverick Grantmaker. Somerville, Bill and Fred Setterberg. Berkeley, CA: Heyday Books. Just Another Emperor: The Myths and Realities of Philanthrocapitalism. Edwards, Michael. New York: Demos: A Network for Action & Ideas. Money Well Spent: A Strategic Guide to Smart Philanthropy. Brest, Paul and Hal Harvey. New York: Bloomberg Press. Philanthrocapitalism: How the Rich Can Save the World. Bishop, Matthew and Michael Green. New York: Bloomsbury Press. The Bottom Billion: Why the Poorest Countries Are Failing and What Can Be Done About It. Collier, Paul. New York: Oxford University Press. Understanding Philanthropy: Its Meaning and Mission. Payton, Robert L. and Michael P. Moody. Bloomington, IN: Indiana University Press. Bill Gates has been busy making the rounds in New York this week, chatting with Bill Clinton on stage at the Clinton Global Initiative on Wednesday, addressing the UN General Assembly yesterday, and sitting down with Tom Brokaw to talk about turmoil in the credit markets and the potential impact of the crisis on the Gates Foundation and corporate philanthropy in general. The interview is twenty minutes long and worth a look. 6:35 End of venture capital? Two smart guys. Good stuff. The Senate is considering a $6 billion relief package for coastal communities in Texas affected by Hurricane Ike. The New York Yankees have announced a $1 million donation to help those affected by hurricanes Gustav and Ike. The Hewlett-Packard Company Foundation has announced a cash grant of $500,000 to the American Red Cross's hurricane relief fund and will also match up to $250,000 in employee contributions to the fund. HP also will donate notebooks valued at approximately $200,000 to the Greater Houston Area Red Cross to help that agency manage its relief and recovery efforts. The Texas Parks and Wildlife Foundation has raised $100,000 in donations to support employees who lost homes or were otherwise affected by Hurricane Ike. The Palo Duro Canyon State Park friends group also donated $10,000 to the effort. Baptist Health Foundation of San Antonio has announced grants totaling $50,000 to two faith-based organizations, Baptist Child and Family Services and Texas Baptist Men, Inc., working to assist victims of Hurricane Ike. PNM Resources and its family of companies serving customers in New Mexico and Texas have announced a $50,000 donation to the American Red Cross in support of relief efforts for victims of Hurricane Ike. The Entergy Corporation and the Foundation for the Mid South have created the Entergy Hurricane Relief Fund to help victims of hurricanes Gustav and Ike. Former Presidents George H.W. Bush and Bill Clinton have announced that they will again team up to raise money for Gulf Coast recovery efforts. The Bush-Clinton Coastal Recovery Fund will focus on long-term recovery efforts in coastal communities affected by this summer's hurricanes. Did we overlook your gift or contribution? Let us know by leaving a comment below. Things are returning to normal here after the remarks this morning by John McCain and Barack Obama. Sen. McCain, who was delivered to the hotel where the meeting is being held by a small army of Secret Service agents and New York City cops, was earnestly bipartisan, high-minded ("I cannot carry on a campaign as if this dangerous situation had not occurred or that a solution is at hand"), and apologetic ("Seven hundred billion dollars is a staggering and unprecedented figure..."). Sen. Obama, whose remarks by satellite followed the conclusion of the morning plenary, was similarly bipartisan and high-minded. But he also took the opportunity to lay out an agenda -- on global health, climate change, and energy independence -- that had the crowd, Wall Streeters and NGO-types alike, swooning in admiration. That shouldn't surprise anyone. Many people here belong to that relatively new sub-species of human being known as Davos Man, named after the Swiss Alpine town which hosts the annual World Economic Forum and defined by Wikipedia as "a global elite whose members view themselves as completely international." Bill Clinton is a classic example of the type, and Barack Obama a younger, updated model -- Davos Man 2.0, if you will. According to Wikipedia, Davos Men "see their identity as a matter of personal choice, not an accident of birth." Samuel Huntington, the political scientist credited with inventing the term, says they are people who "have little need for national loyalty, view national boundaries as obstacles that thankfully are vanishing, and see national governments as residues from the past whose only useful function is to facilitate the elite's global operations." As I write this on a laptop in a conference room at the Sheraton (an iconic global brand in its own right), surrounded by reporters and photographers from a dozen nations, all of us hanging on the words of politicians, rehabilitated politicians, and globe-trotting advocates, it strikes me as a fairly accurate description. All is not well in Davos-land, however. The credit crisis in the U.S. continues to deepen and wreak havoc on both Wall and Main Street. Most ominously, say the people who run and regulate the economy, if it isn't addressed and ameliorated, it could turn into a contagion that plunges the global economy into recession, or worse. Suddenly, the fact that we are all connected (or soon will be) takes on new meaning. What's the old saying? When you marry a woman, you also marry her family, crazy uncles and all. The same can be said of globalization, and I think that fact partly explains why the tone of this year's annual CGI meeting is subdued, even somber. But this is a crowd of optimists (individual CGI members wouldn't have paid $20,000 to attend if they weren't), and no one here seems ready to pull the plug on Globalization 3.0 (to borrow Tom Friedman's phrase). Yes, they say, gobalization is partly responsible for the worrisome situation in which we find ourselves -- not just with respect to the economy, but in terms of climate change, disease pandemics, and the existential threat posed by weapons of mass destruction. But it is also our last best chance to avoid disaster. Craig Barrett, Chair, Intel Corp.
Ken Lee, Co-Founder, Lotus Foods, Inc.
Education: Providing Real Choices: What Works for At-Risk Adolescent Girls and Boys? Margaret G. McGlynn, President, Merck Vaccines and Infectious Diseases, Merck & Co., Inc.
Mauricio Adade, President, Human Nutrition and Health, DSM Nutritional Products, Ltd.
Vinita Bali, Managing Director/CEO, Britannia Industries, Ltd.
Dina Powell, Managing Director, Head of Global Corporate Engagement, Goldman, Sachs & Co.
Zarine Aziz, President/CEO/Chair, First Women Bank, Ltd.
"Tobacco is the only product you can buy that if you follow the directions, it will kill you...."
"Education is not a public-sector job; it's not a private-sector job. It's everybody's responsibility...."
"In my view, the 20th century view of business -- in Milton Friedman's phrase, 'The purpose of business is to maximize profits' -- is outdated and irrelevant in the 21st century...."
"Don't appeal to the conscience of America; appeal to the greatness of America. Then you'll get the job done...."
"We all have a lot at stake in the idea of America...."
"Clean coal is like a healthy cigarette. It does not exist...."
"What we need is a whole re-imagining of the American enterprise to address the three most important challenges of the 21st century: extreme climate, extreme ideology, and extreme poverty...."
"There is an absolute refusal [in the District of Columbia] to hold ourselves accountable for results...."
"The consensus for free trade is collapsing around the globe because there are too many losers in developed countries...."
"I think probably every foundation would be better off if they adopted a narrower focus and worked in that area in a deeper way over a longer period of time...."
Suzlon Green Power Ltd., a closely held enterprise 100 percent owned by India's Tanti family, has committed to bring 3,500 megawatts of electricity to nearly 10 million people with the development of $5 billion in green energy assets over five years, primarily in India and China. Of the total project value, Suzlon Green Power will provide approximately $1.5 billion in equity. This is likely to be the largest Energy & Climate Change commitment announced at this year's CGI meeting. Acquire existing green power assets to develop scale and expertise. Garner support and cooperation from a network of vendors, business partners, investors. Partner with local NGOs and other organizations to develop neighborhoods where the power assets will be developed and operated. According to the accompanying press release, Suzlon and other Tanti companies bring extensive experience in wind farm development. Of the more than thirty wind farms Suzlon has developed, two are of significant size: Sanganeri, on the southern tip of India, with 600 megawatts; and Dhule, northeast of Mumbai, with 1,000 megawatts under development. The company estimates that its projects will create a thousand jobs directly and will reduce the equivalent of seven million tons of CO2 a year. "There's a strong argument for investing in girls. Economic opportunity -- particularly that of adolescent girls -- is crucial to generating the incentives that reverse inequality and break intergenerational cycles of poverty," said World Bank managing director Ngozi Okonjo-Iweala. "By working in partnership, we can make great strides in improving the livelihoods of adolescent girls, their families, and communities -- in Liberia and elsewhere." To learn more about the work being done by the Nike Foundation, the NoVo Foundation, and others to empower girls, visit the Girl Effect Web site. E. Neville Isdell, Chair, Coca-Cola Co.
Diana Farrell, Director, McKinsey Global Institute (MGI) McKinsey & Co.
Matt Kistler, Sr. Vice President, Sustainability, Wal-Mart Stores, Inc.
Tulsi Tanti, Chair and Managing Director, Suzlon Energy, Ltd. Here's another link to live webcasts from this year's CGI event. I'll be live-blogging the event over the next couple of days. For those interested in checking out the sessions, kaisernetwork.org will provide live webcasts of most of them, along with archived video, transcripts, and podcasts. For up-to-date information about Thursday and Friday webcasts, visit kaisernet's coverage guide at: http://www.kaisernetwork.org/cgi2008#guide. Social Actions founder and micro-philanthropy consultant Peter Dietz recently posted an audio clip recorded at the National Conference on Citizenship on the topic "Can Facebook Replace Face-to-Face?" Moderated by political adviser and Internet pioneer Joe Trippi, the conversation includes a debate between Facebook Causes' founder Sean Parker and the Brookings Institution's William Galston. You can listen to the full clip here. We have become a more polarized society and our politics have become more polarized….That polarization has made it very difficult for the country to come together. Definitions of the common good are now different and conceptions of how the world works now differ. The late Senator Daniel Patrick Moynihan once said, "Everyone is entitled to their own opinion, but not their own facts." How old-fashioned that sounds now, because you have groups of people in the country who really do have their own facts. The Social Citizens blog is hosting an online conversation that explores the same question. Visit the site to add your thoughts, or let us know what you think by leaving a comment below. The Indianapolis-based Lilly Endowment has announced a $10 million gift to the Salvation Army to assist with ongoing relief efforts in the aftermath of hurricanes that have affected large portions of the Gulf Coast and Midwest. The Hess Corporation has announced that it will donate $3 million to the Hurricane Ike Relief Fund. Toyota and Koch Industries, Inc. will contribute $1 million to relief and recovery efforts, while BHP Billiton has announced that it will donate $500,000 to support relief efforts in communities affected by Hurricane Ike. Houston Texans owner Bob McNair has announced that he is donating $500,000 to relief and recovery efforts, to be matched by the National Football League and NFL Players Association. Major League Baseball has announced that it will donate $500,000 to the Hurricane Ike Relief Fund. The Comerica Charitable Foundation will contribute $100,000 to the American Red Cross and $10,000 to the Houston-based Sheltering Arms Senior Services organization to support Hurricane Ike relief efforts. NeighborWorks America is providing $45,000 in emergency relief grants to organizations in the Houston-metro area. The grants will support NeighborWorks organizations helping residents who are having difficulty reaching FEMA and Red Cross distribution centers. Farm Aid, the charity founded by singer Willie Nelson to help small family farms, has pledged to donate $30,000 to the families most affected by Hurricanes Ike and Gustav. The National Cattlemen's Foundation has announced a $10,000 donation to assist cattlemen affected by Hurricane Ike. Soles4Souls, Inc., the international shoe charity that gives shoes to needy people, has sent 85,000 pairs of new shoes to aid in Hurricane Ike relief efforts. And anyone who makes a $100 donation to the Vince Young Foundation Hurricane Ike Relief Fund will get an autographed photo of Young, the former University of Texas football star and Tennessee Titans quarterback. Those who make a $250 donation will receive an autographed football.